Sure, Windows has ways to find your system specs with built-in utilities like Task Manager. But Speccy give you all the details in a user-friendly UI. If you’re upgrading your Windows system or troubleshooting it, it’s good to know what’s going on inside with the hardware. 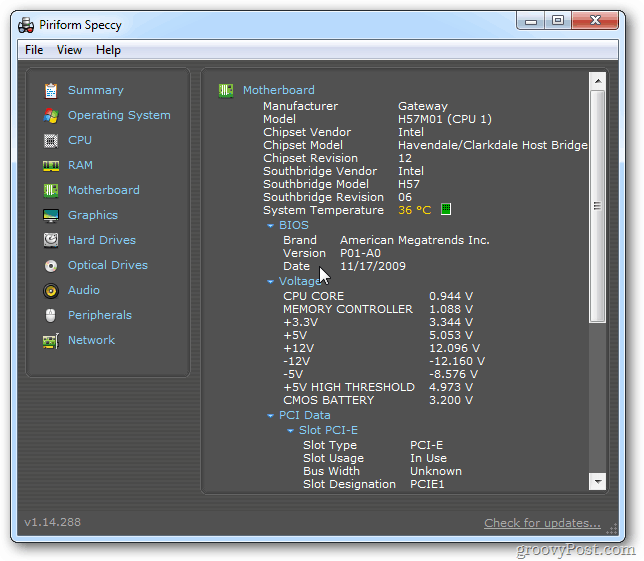 Here’s how to use the free utility Speccy to get detailed information about your PC. 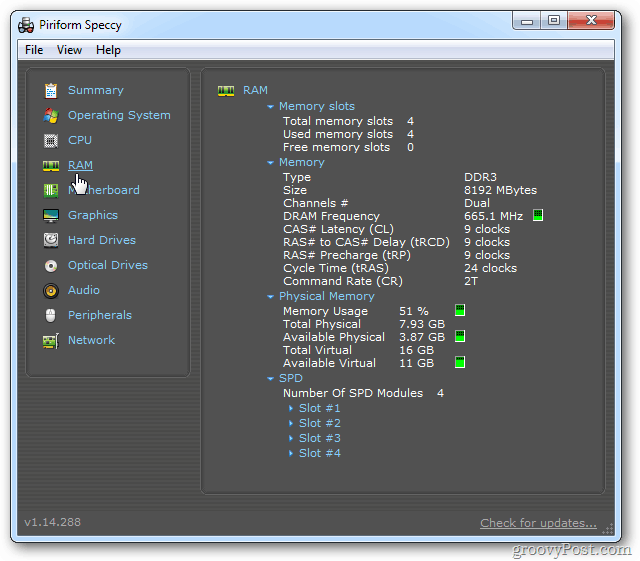 First, download and install the free version of Speccy from Piriform – the developer of the popular utility CCleaner. Installation is straight-forward following the wizard. 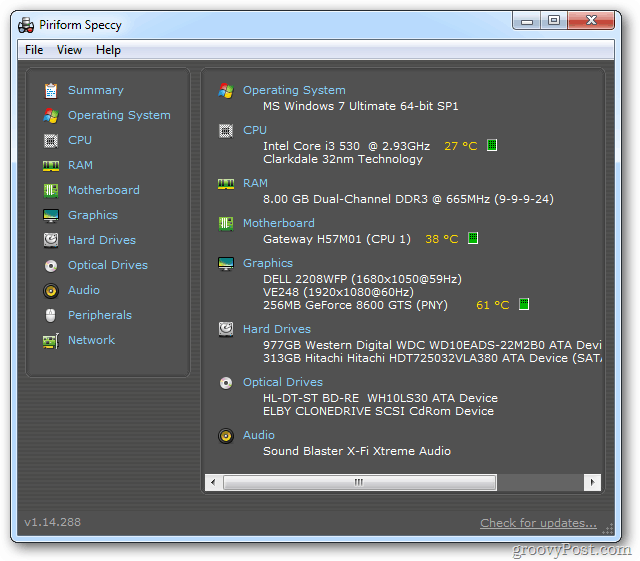 Speccy will analyze your system and display – a lot of information. It starts by giving you an overall summary of your system including the OS, CPU, RAM, Graphics Card and more. If you want to add RAM to your system, this is an unobtrusive way to find the type you need. Click on Motherboard to see the type you have – including the BIOS version. 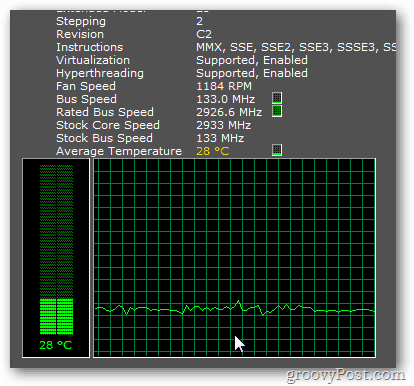 Notice it also displays the temperature your system’s components are running at. Click on the icon to get a detailed graph as the temp fluctuates. If you’re troubleshooting your system, Speccy is very handy. You can take a snapshot of your system and send it to tech support. 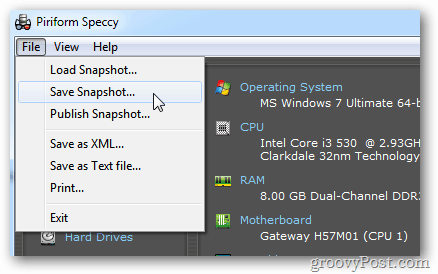 If you need detailed information about your system and the system tools built into Windows aren’t cutting it, Speccy is a groovy free choice. But the download link is taking to one of your tag page, pls correct. @Dinesh: Good catch! I corrected the link. Thanks for reading. is FALSE good or bad? this seems hot to me..how do i cool it down if that’s the case?